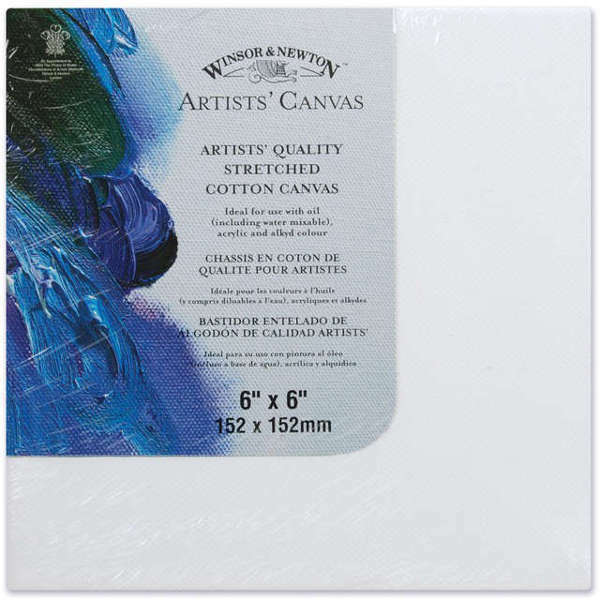 Carefully selected and prepared stretched cotton canvas to ensure outstanding quality from Winsor & Newton. Heavier weight superior cloth of medium grain surface that has been triple coated with highly pigmented primer. Canvas offers balanced absorbency and tooth essential for preventing the sinking of oil color and improved adhesion. Hand stretched for superior tension & back stapled to 13/16" deep kiln-dried, beveled stretcher bars for clean edges to ensure painting on all four sides. 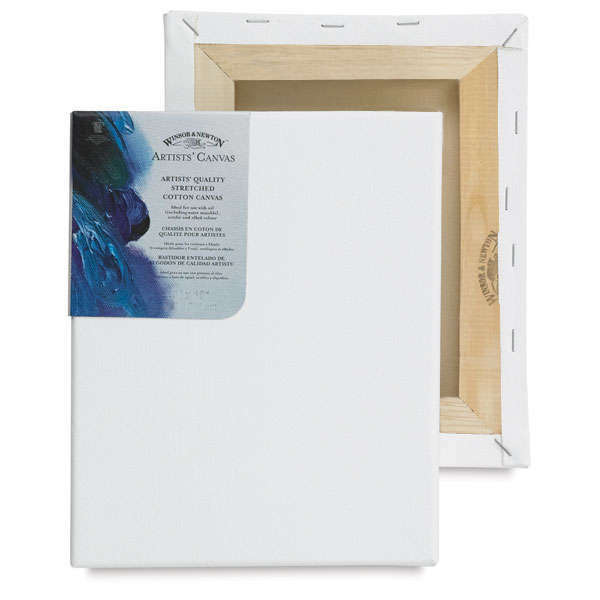 Winsor & Newton - Artists Quality Stretched Canvas - 6" x 6"